New York City is one of the most iconic cities in the world. Often seen - certainly by all people who live and work there - as the epicentre of city life worldwide. A must-see city for many world travellers, and a city you never leave for those who just want to try it out for work or living. In short, a city with a tremendous pulling power and a 24/7 buzz. 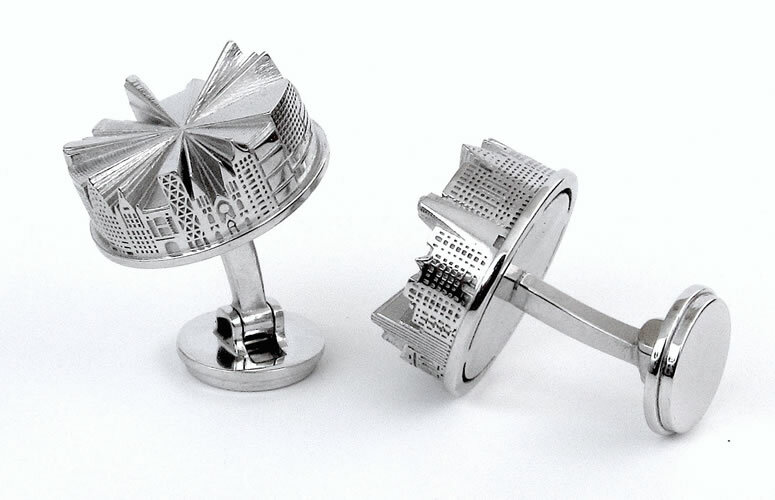 The sterling silver New York City Cufflinks® are an ode to The City That Never Sleeps. Together with people who live and work in New York City, we have depicted a number of buildings jointly representing the essence of the city. In random order: The Guggenheim, United Nations Headquarters, New York Life Building, St. Patrick’s Cathedral, Hearst Tower, Hook & Ladder 8, Woolworth Building, Chrysler Building, Flatiron Building, One World Trade Center, The Dakota, A typical New York facade, The News Building, Grand Central Terminal, Empire State Building, Met. Life Tower, 40 Wall Street. 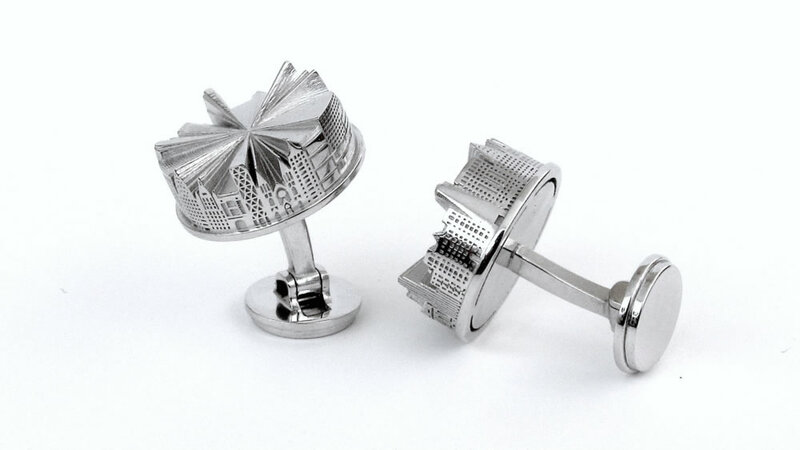 The New York City Cufflinks® are sterling silver handmade gems, also to be used as cufflinks. A quality memento of New York City. Designer Seroj has visited this city many times, and for him New York City has a special place in his heart.